They boast Portland’s Best Biscuits and Gravy. Even though this is not a dish I normally order I thought I should at least try. We also got a scramble to go with it. The Biscuits and gravy was one larger serving. It wasn’t a biscuit cut open and topped with gravy. NO! It was 2 huge biscuits, whole, covered in gravy. The gravy was delish. I made my way through half of this dish. It was large and rich and very well could be Portland’s best. The biscuits were spot on. Very tender all the way through. I have had a few biscuits lately that I can’t even cut with a knife. 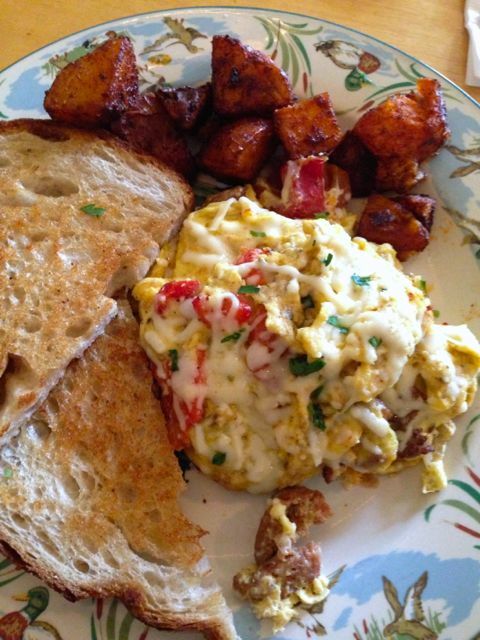 The scramble was loaded with flavor. 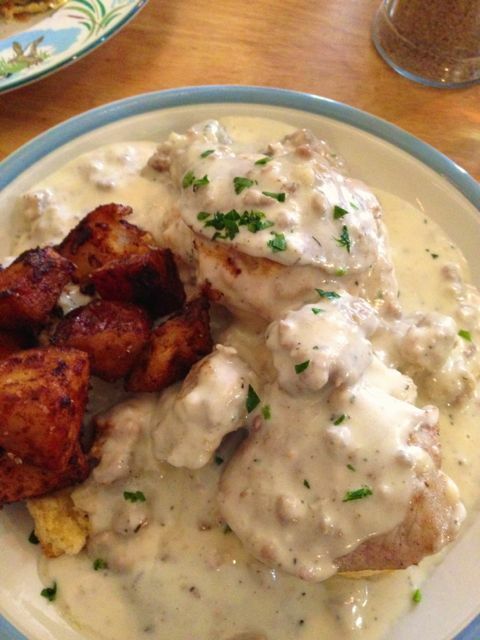 I loved having something a little lighter to eat along side the biscuits and gravy. The potatoes, even though the were tossed with paprika and other spices, had very little flavor, but that didn’t matter to me, I already had too much food to eat. Atmosphere is very quaint. As you look around you will see things like doors hung sideways decorating the counters and windows in places where there are no windows. It feels comfortable for sure. Prices were between $8-$10. I felt like $10 for the biscuits and gravy was a great deal. It could easily be shared. Usual suspects for drinks. Stumptown coffee. They also have serve lunch and have some beers as well. 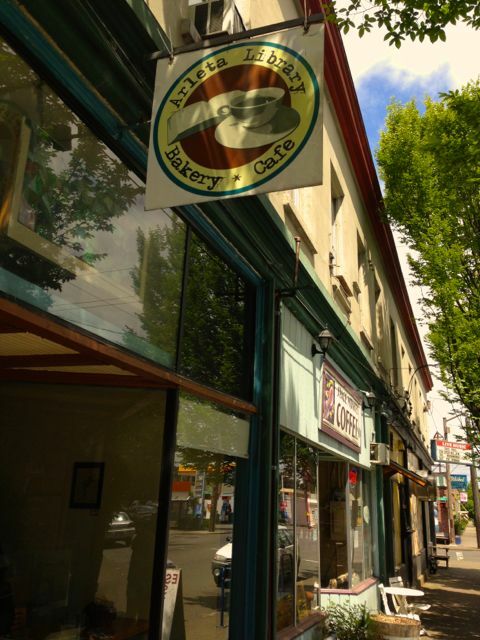 Arleta Library Bakery Cafe is located right across the street from Mt. Scott community center.